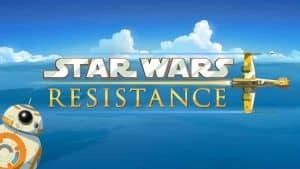 Star Wars Resistance Series Announced | Nerd Much? The next animated project in the Star Wars universe has finally been unveiled. Star Wars Resistance is coming to Disney XD later this year. The series was announced by Lucasfilm earlier this morning. Dave Filoni, creator of Star Wars: The Clones Wars and Star Wars Rebels will lead the show. Athena Portillo and Justin Ridge, each of Star Wars: The Clone Wars, Star Wars Rebels as well, will serve as executive producers. Brandon Auman from the recent Teenage Mutant Ninja Turtles series will join them. 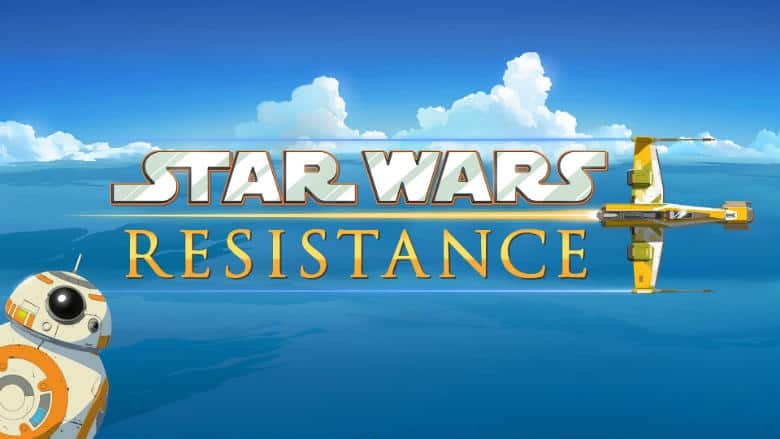 Star Wars Resistance will follow a young pilot named Kazuda Xiono and “focus on the era before Star Wars: The Force Awakens.” The character is recruited by the Resistance and tasked with the secret mission of spying on the First Order. Due to the series taking place close in time to the current films, we have a few confirmed guests stars. And they’re big ones. Both Oscar Isaac’s Poe Dameron and Gwendoline Christie’s Captain Phasma are both confirmed to appear. With the actors onboard to voice their respective roles. Oh, and BB-8 too. The series’ core voice cast has some notable names attached too. Confirmed talent includes Christopher Sean (Days of Our Lives), Suzie McGrath (East Enders), Scott Lawrence (Legion), Myrna Velasco (Elena of Avalor), Josh Brener (Silicon Valley), Donald Faison (Scrubs), Bobby Moynihan (DuckTales), Jim Rash (Community), and Rachel Butera (Tammy’s Tiny Tea Time). The art style for Star Wars Resistance is said to be “anime-inspired.” Amy Beth Christenson, also of Star Wars: The Clone Wars and Star Wars Rebels, is the art director of the new series. Star Wars Resistance will premiere on Disney Channel in the U.S. this fall. It will then find its permanent home on Disney XD worldwide.